Magical puppetry variety show and Don Giovanni are the double program of the best of the master work of exclusively Czech marionetters and from the tradition of the Czech puppetry. 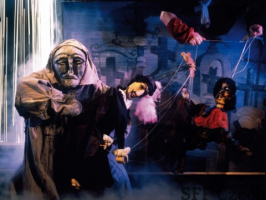 The most popular performances and "hits" are from the Czech puppetry bestseller - original marionette version of Mozart's opera Don Giovanni, which has achieved more than 3000 repeats since 1991 and has been introduced in 57 cities of Europe. 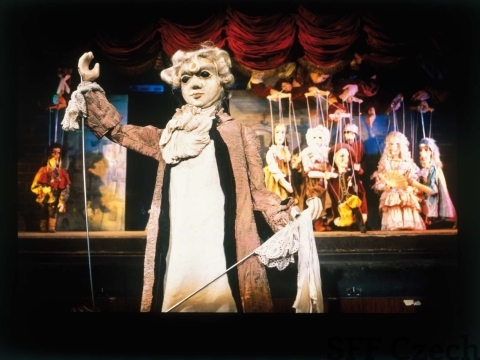 Mozart composed “the opera of operas”, Don Giovanni, especially for Prague, where he personally conducted its first performance in 1787 in Estates Theatre. 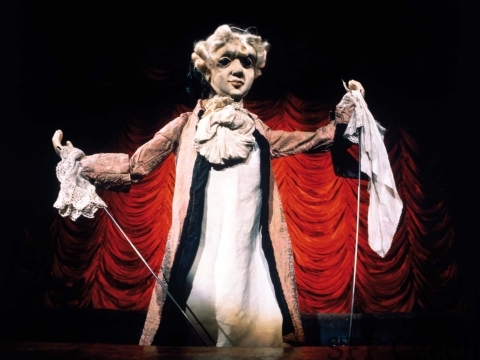 At present the dramatic repertoire Prague offers a version in of classical marionette theatre using period costumes and tall marionettes. This production pays homage to the period and atmosphere of Mozart in the form of an authentic 18th century performance. 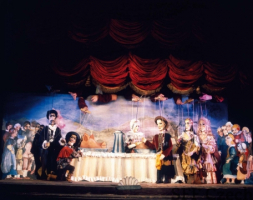 Don Giovanni is presented in the original Italian version and lasts about two hours including intermission. 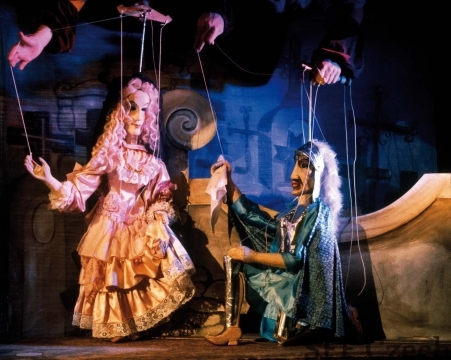 In the Czech countries, puppetry has been one of the traditional forms of theatre entertainment for many centuries. The most famous puppeteer of the Czech history was Matěj Kopecký with his puppet of Kasperle and the famous puppeteers of the modern times were Josef Skupa and Miloš Kirschner with the puppets of Spejbl and Hurvínek, which you can still see used in puppetry today.